In 2000 when there were only 15 island foxes surviving in captive breeding pens on San Miguel, you could count them easily on your fingers. 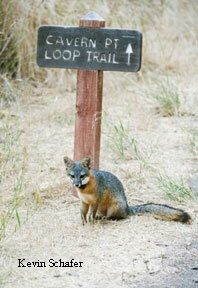 Today all Channel Island foxes across the six islands where they live are back in the wild. (A few rescued individuals from San Clemente Island can be seen in mainland zoos.) The recovery of the endangered island fox on San Miguel, Santa Rosa, Santa Cruz and Santa Catalina Islands has been record-breaking and the days of counting all of the physical island foxes are long gone. 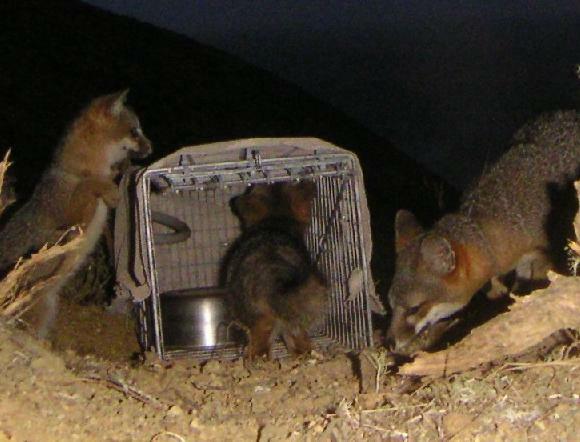 The process of counting foxes on each island begins in the fall with special capture cages. 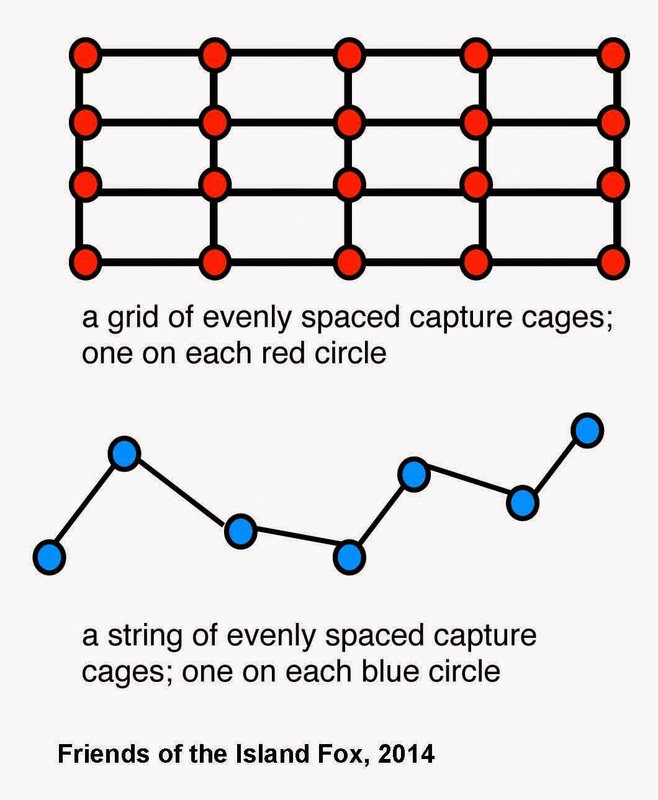 Cages in an area are set out over the course of a specific number of nights and checked each morning. 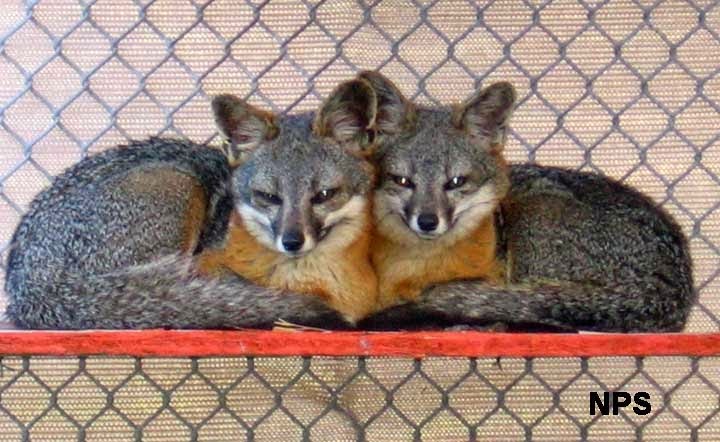 On Catalina, each string is run for four consecutive nights; after that, typically the majority of individuals would be foxes that had already been captured on previous nights. 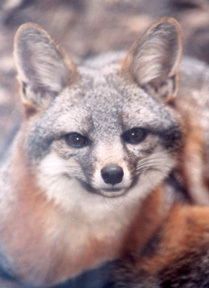 Each island fox is identifiable because it has a Passive Identification Transponder (PIT) microchip. 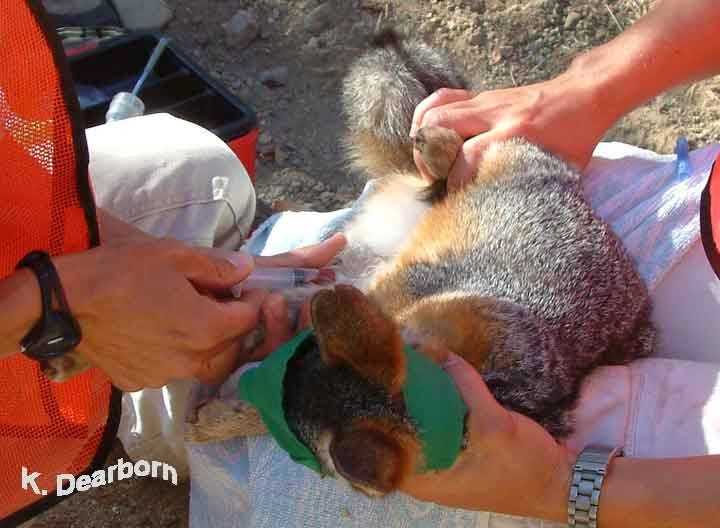 An island fox caught for the first time receives a PIT tag. From that point on the PIT tag allows it to be recognized as a specific individual. It can take weeks for biologists to evaluate each island. The data is input into a modeling program for analysis. Different programs may be used on different islands and over the years land managers may change which program they use. The modeling program calculates the density of island foxes in specific habitats across the island and estimates a total island population. Sometimes, however, it takes a human brain to see complexity in the numbers. On two islands where recovery has been robust over the past few years, San Miguel and Santa Catalina, the estimated population numbers appear to be higher in 2013 than they were in 2012. But observations on both islands conclude that drought may have reduced births and did cause starvation in a number of pups last summer, prior to counting. How could the population number increase while the number of surviving pups decreased significantly? Biologists Calvin Duncan and Julie King from the Catalina Island Conservancy explain that on Catalina they caught a greater number of adult island foxes that had not been counted for a number of years. Young animals are more likely to be curious and challenged with finding food; they venture into capture cages more readily. Once an animal is in the cage, no other can be caught that night. This year, on the fourth night of capturing, they were still finding a high percentage of animals that had not been caught on previous nights. The increase in the population number for Catalina is warranted because of the number of unique individual animals that were counted. But rather than an increase in the population, the number represents a refinement of the estimate toward greater accuracy. 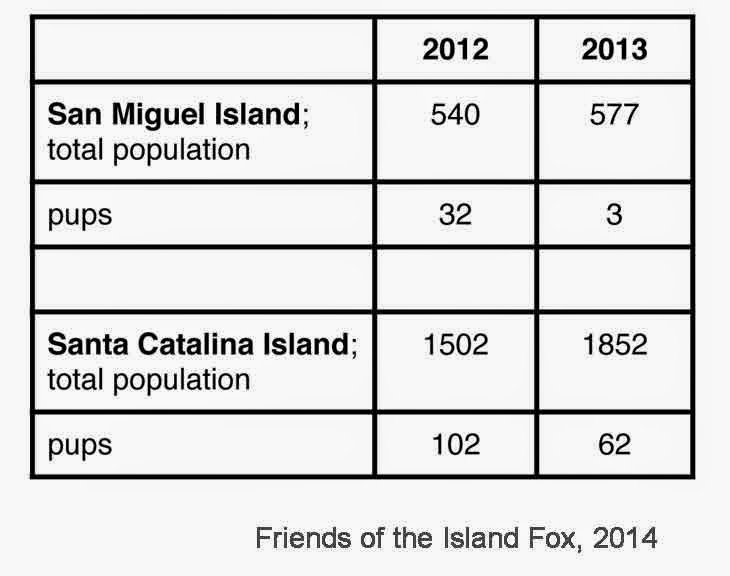 On both San Miguel and Santa Catalina Islands, island fox numbers have surpassed historic population figures. Both islands may have reached carrying capacity, or the number of individual animals that can find the territory and food resources necessary for a healthy life. As the drought continues this summer, there may be further impacts not only on pups, but also on older individuals. Counting island foxes provides an important picture of island fox recovery, but observations throughout the year, health checks, blood tests, data collected from radio-collared island foxes and necropsies is vitally important to understanding the whole recovery picture. What is the biologist doing to that island fox? Blood samples play an important role in not only monitoring island fox health, but also in alerting biologists to potential diseases island foxes may have been exposed to. When an animal comes in contact with a disease, their immune system creates antibodies to fight against the disease threat. By testing island fox blood samples for titers, levels of antibodies, biologist can determine if island foxes have encountered new disease threats. They also can tell if individuals are carrying antibodies from vaccinations at high enough levels to protect them against know diseases like rabies and distemper. Serology, studying blood samples, may not sound very exciting, but it is very important to the recovery of the endangered island fox. Thanks to a $2,000 grant from our friends at the Fresno Chaffee Zoo, island fox blood samples taken during annual fall health checks last fall will be examined for antibodies to various canine diseases (distemper, parvo, etc. ).